Food is so much more than fuel and is central to life! Since 2003 the Brighton & Hove Food Partnership has helped over 10,000 people to learn to cook, to grow food, to eat a healthier diet and waste less. There are plenty of places to get involved with food in The Living Coast – here are our top picks for boosting your health and wellbeing by connecting with the edible bits of our biosphere! Locally produced vegetables and fruit can be picked and delivered to your door within days so they are fresh and nutritious. Veg boxes have always been about less packaging – just a reusable, returnable box. This is also one of the easiest ways to be sure that you are eating seasonally (the person packing the box or standing on the stall does all the thinking for you). Buying direct from the farmer either through one of the local veg box schemes or at a farmers market also benefits the local economy.Look out for the regular farmers markets at Shoreham-by-sea, Brighton and Lewes where you can meet the producers directly and hear all about the way they manage their land to grow food. Walking across the beautiful South Downs definitely has spirit-lifting properties and grazing animals are an important way to maintain the unique habitat of the South Downs. Local residents can support the management of the landscape by ordering meat that is reared on the Downs, including meat boxes from Saddlescombe Farm or by signing up to SheepShare where residents can order a share of a sheep that is currently grazed in and around Brighton & Hove. There are even opportunities to volunteer as a ‘Lookerer’ to help keep an eye on all the grazing animals. Take advantage of the many benefits of living by the sea with a trip to buy locally caught and sustainable fish. Oily fish contains omega 3 fatty acids which helps to keep your heart healthy. Some top local choices to look out for are: oily fish - Herring, Mackerel and Sardines (the Hastings Herring and Mackerel fisheries have Marine Stewardship Council certification). Other local fish to try out are Red Mullet, Pollack, Sole, Dab, Sprats and Gurnard. If you’re into shellfish then opt for Mussels, Whelks and Squid – farmed or caught in pots. Town and city parks and green spaces provide great opportunities to get involved in community food growing – check out our map and list of places. Volunteering with a community garden is a good opportunity to get outdoors, learn new skills, meet new people, keep active, and contribute towards your community and the environment. Many gardens share their harvest with volunteers, or cook a shared meal on site during each workday. Most gardens are pretty flexible so you can drop in to see what it’s like before you commit. Gardens are open to people of all ages and levels of fitness, from complete beginners to experienced growers. As well as being the perfect place for a picnic, woodland walk or just to have a run around, Stanmer Park hosts some inspiring community projects. To the left up behind Stanmer House there are a number of community food growing sites as well as ‘Stanmer Organics’ - home to projects involved in eco building, green woodworking, art, horticulture and food production, many of which hold regular volunteer days. If you really want to treat yourself, a walk through the orchards when the trees are in full spring blossom is pretty much like being in a Monet painting. If you want to tell your Eastbourne Pippin from your Crawley Beauty head to the Racehill Community Orchard in Whitehawk, East Brighton. Situated on three acres, volunteer sessions run weekly and it’s a great place to enjoy views across The Living Coast whilst spending time tending this young orchard. Nettles, elderflowers, cherry plums and wild marjoram can also be found for the foragers amongst you. Food is often central to life’s celebrations and memories, so cooking from scratch and sharing food with others is a powerful thing. If you fancy brushing up your cooking skills look out for courses at Lewes Community Kitchen or bake some brilliant bread at the Stoneham Bakehouse. If you live in Brighton & Hove you can sign up for Casserole Club, a scheme that matches people who can share an extra portion of food with an isolated person living nearby. The Food Partnership is about to build a Community Kitchen on Queens Road in Brighton – a cookery school where everyone can come to cook, to learn new skills and enjoy food with friends. If you want to attend a masterclass with a local chef, or help ensure that everyone can learn basic cookery skills, then support the crowdfund campaign for the kitchen running throughout this month of February. 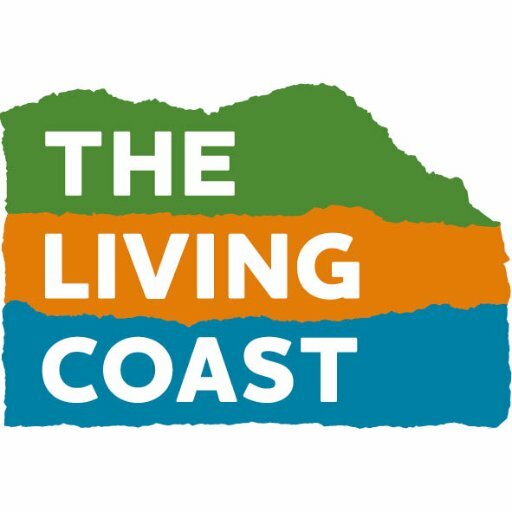 Thank you for your interest and support, and enjoy eating the edible Living Coast!